The equipment has been as ideal for medium/large scale pharmaceutical companies. The equipment is simple to operate it save time and labour. The automatic capsule loader is compact occupies minimum space, it gives higher production with much better standard of accuracy. Loader automatically loads empty capsule in the loading plate for manually operated capsule filling machine, hence it take normally 5 minutes to load empty capsule in 300 holes loading plate manually, this machine cuts down that time to only 30 second. 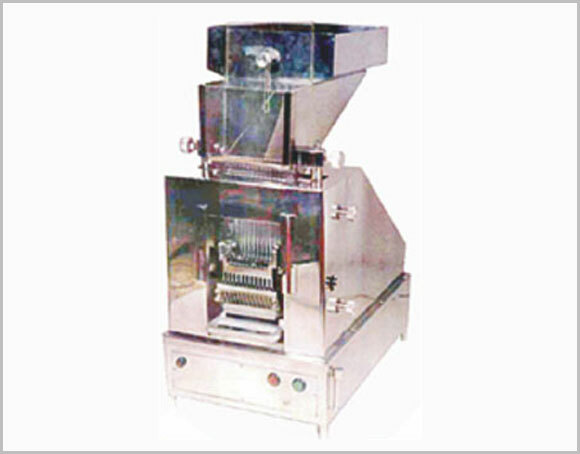 It supplied filled loading plates for 2-3 capsule filling machine. Thus increase the production on one hand and reduce the number of operator on other hand. The machine is Manufacturerd to suit the following capsule size combination 00/0/1/2/3 or 4/5. Drive ¼ h.p, 3 phase, 440 volts, the machine stop automatically after loading is complete.